Pe-Yang Teng graduated from the Faculty of Architecture, Building and Planning in 2007, with a Bachelor of Architecture and a Bachelor of Landscape Architecture. 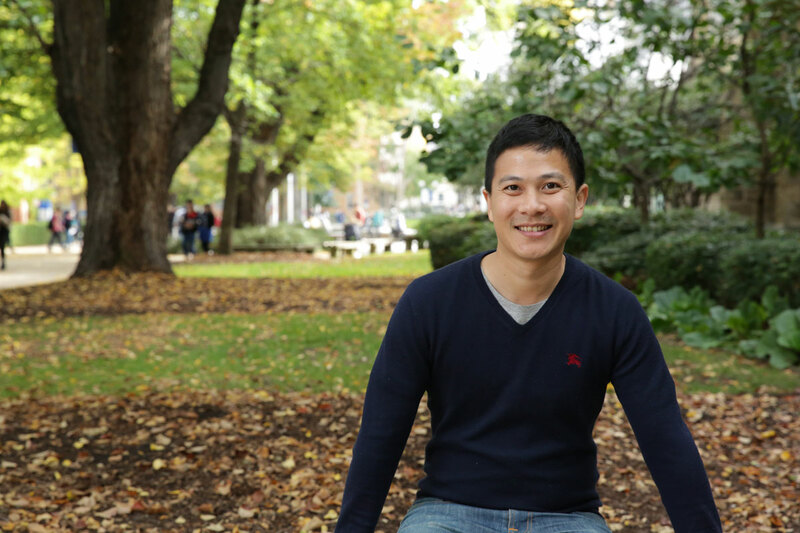 I was born and grew up in Penang, Malaysia and moved to Melbourne after high school to pursue my tertiary education. After graduating in 2007 I worked at Aspect Studios and HASSELL as a landscape architect and also tutored at the Melbourne School of Design (MSD) at the University of Melbourne. In 2012 I moved back to Penang to set up my own landscape architecture practice Permata Green. I’m currently a technical advisor to Think City, a community-based urban rejuvenation organisation, and also the current Northern Chapter Chairman of the Institute of Landscape Architects Malaysia (ILAM). The revitalisation of the historic Northern Seafront in George Town, a UNESCO-listed World Heritage Site in Penang, Malaysia. It’s a 10-hectare public realm upgrading project comprising a seafront esplanade, fort, wharves and lots of green space. I’m working closely with the Penang Island City Council, State Government and the Aga Khan Trust for Culture (AKTC). The first stage of works is the implementation of a prototype sea wall to reinforce the seafront esplanade, slated to commence later this year. Which built environment professionals, organisations or creative people, are inspiring you at the moment? Shma ShoEn, they’re a landscape architecture practice based in Bangkok run by a dynamic, enthusiastic group of young landscape architects whom I recently befriended. They’re doing really amazing community-focused public realm projects out there. Being the recipient of the 'Young Landscape Architect Award' at the 2016 Malaysian Landscape Architecture Awards held recently in April 2017. For me, it demonstrates how our skills, training and passion can be applied, appreciated and recognised in a universal context. A community-driven public realm project, working in close collaboration with both local and international consultants and consortiums, bringing the best minds, expertise and energy together for the betterment of public spaces for the benefit of the public. 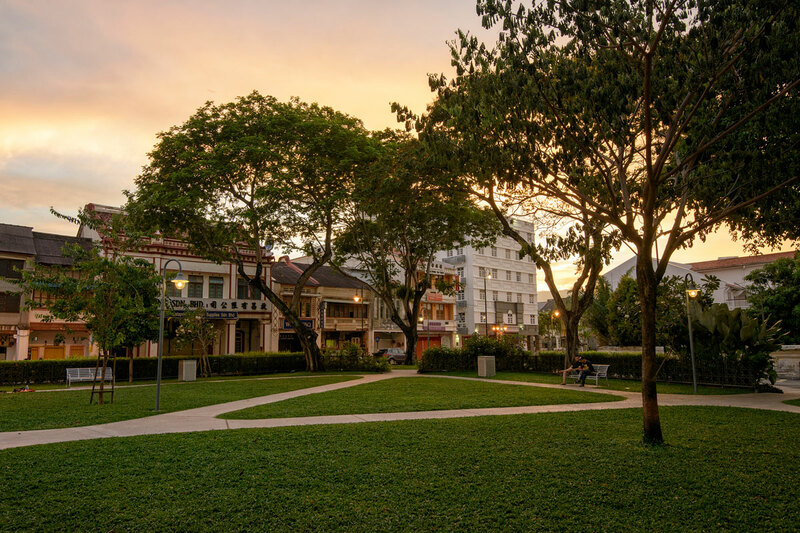 Armenian Street Park in George Town, Penang. Image: Jordan Lye. The Union House circa. 1999-2002; interestingly as you progress through your uni years you frequent each level of the building in a seemingly transcending order; amusement arcade in the basement; cafeteria on the ground floor and finally the pub on the top floor. I have two! Architectural Design 4A Subject Coordinator Dr Paolo Tombesi’s eloquent fashion sense; green jeans scattered with specks of cow embroidery was so neo-hipster it just never made it mainstream. Being the designated driver for the Melbourne Uni Kendo Club’s team to the Australian Uni Games in Adelaide in 2007. University is INDEED the best part of your life! So savour the moment, join a club, make new friends; they WILL last you a lifetime. This is the best place and environment to really test and push ideas and think outside the box, so don’t hold back. Find ways to contribute back to the University after you graduate (I tutored, what’s yours?). Finally, keep in touch with your lecturers and tutors; they’re always keen to know how you’re doing. And by all means, join the University Alumni.